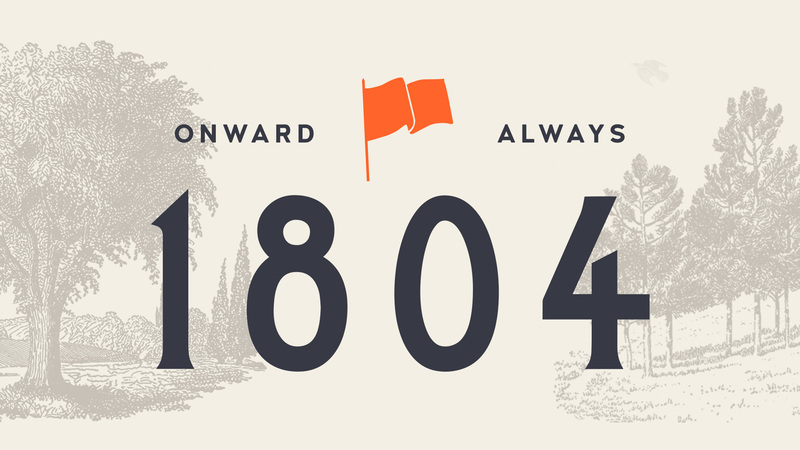 To those intrepid ends, 1804 is the year a couple of rather famous entrepreneurs set out from Louisville in search of new horizons, an apt metaphor, we reckoned, for a group of enterprising business folk who struck out in search of creating new opportunities for the people they cared about. We are the begetters of tomorrow. The doers. The makers. The folk who defy the expected and embrace the unknown. We are the ones who see the possible. The ones who understand that risk is the price of reward, and that creativity fused with endeavor fuels discovery. We are adventurers, pioneers, and challengers. We are the resourceful and enterprising flag-bearers of a braver world and a better future. It takes something remarkable to travel out across uncertain waters and into uncharted territories. Something special and rare. Something precious. This passion to explore is driven by a fierce spirit, a resolve, a courageous belief that we’ll be able to overcome the obstacles that are put in front of us. It’s a determination born of challenging the unknown, a commitment to see something all the way through. And when supported by virtuous, well-meaning, and hard-working people within suitable environments fortified with adequate resources, it’s the expectation that our vision can and will change the world.